This is going to be a short review because I don't have too much to say about the product. Ingredients: Water (Aqua), African Red Bush (Rooibos Tea), Behentrimonium Methosulfate, Cetearyl Alcohol, Argania Spinosa (Argan) Nut Oil, Orbignya Oleifera (Babassu) Seed Oil, Vegetable Glycerin, Ricinus Communis (Castor) Oil, Lauryl Laurate, Olive Fruit Oil, Hydrogenated Castor oil, Beeswax, Emulsifying wax (Ceteareth 20), Carnauba Wax, Hydrogenated Soybean Oil, Pomegranate Extract, Capsicum annum (Paprika) powder, Candelilla Wax, Paraben-free Preservative, Phthalate-free Fragrance. I don't love or hate it. It's just ok. I've had the Hairveda Red Tea Satin Moisturizer for a couple months now and have had time to experiment with it. I prefer to use it as a leave-in. I didn't care for it as a refresher/moisturizer on dry hair. It just wasn't moisturizing enough for me to use solely this on dry hair. 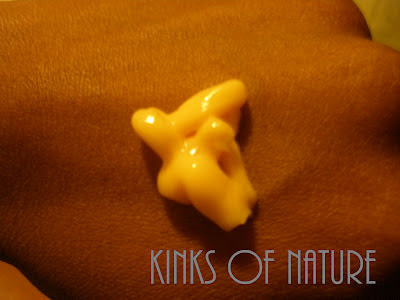 It's a peach-colored product with a lotion-like consistency. It spreads easily and leaves no residue. 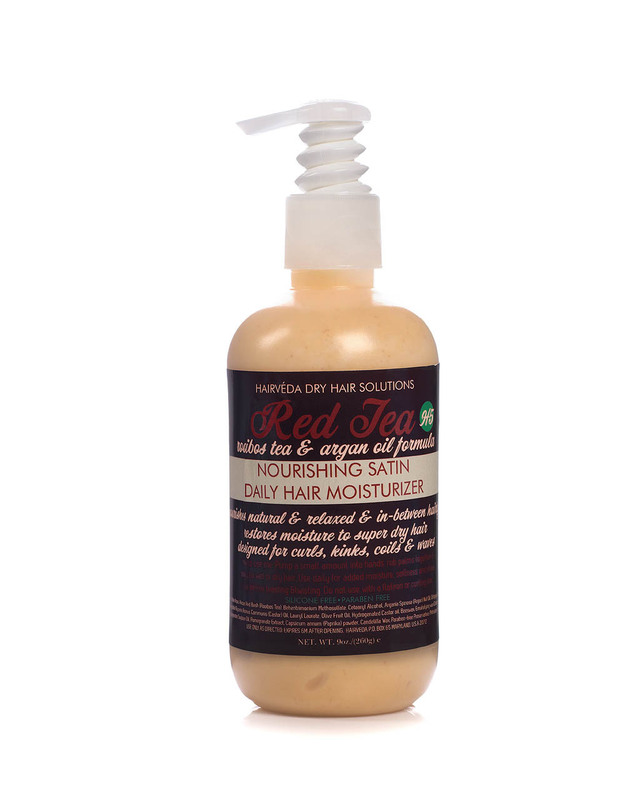 It has the same fruity tea fragrance as the other products in the Hairveda Red Tea line. It's not my favorite fragrance, but scent is subjective. Someone else might like it more than I do. The scent does linger. This product is ok, but it just doesn't wow me. I prefer it as a leave-in, but more often than not, I use conditioner as my leave-in and as such prefer a larger size option. The Red Tea Satin Moisturizer is available in an 9oz size for $10 on the official Hairveda site. Hairveda can also be purchased from select retailers in the United States, United Kingdom, France, Trinidad & Tobago, Netherlands, and Germany.